Katie asks Mrs Chubb why Toby has to go without getting dressed. Mrs Chubb tells Katie to stop asking questions and go for a swim. Katie is very suspicious. Then Joe shouts over the gardens and Katie answers. Mrs Chubb tries to hurry her into the house, but before she can, Joe comes round to see where Toby is. Katie tells him that Toby has gone with his mum. Joe realise that Mrs chubb has orchestrated what's happened and become frantic with worry. He begs Mrs Chubb to tell him where Nolene has taken Toby, but she says he's better off with him mum - Joe is a bad influence. She refuses to tell him where Toby is. Joe says he's going to find Toby and then he'll deal with Mrs Chubb. She tells him not to threaten her. Henry and Bronwyn are hanging out on the couch. They tell each other they love each other and Bronwyn says that the only time things go wrong between them is when other people interfere, like Mrs Chubb and Bronwyn's ex-fiance. Henry suddenly gets an idea - noone could interfere if they were together all the time. 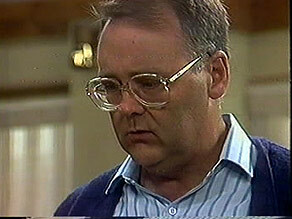 Joe runs in to the Coffee Shop and tells Madge and Harold what's happened with Toby. He says that Harold has to help him find out what Nolene's address is. Harold says that maybe Toby's better off with his mother, but Joe says it's not Nolene he's worried about - it's Ted, the bloke she lives with. He's worried Ted will rough him up - he hates Toby. Joe thinks Harold can persuade Mrs Chubb to give him Nolene's address. He adds that he's asked around and Ted has a criminal record - beating up a little kid will be nothing to him. Madge says they'll do everything they can to help and Harold reluctantly agrees too. Madge sits Joe down for a calming cup of coffee. Joe is almost beside himself with worry and says that if anything happens to Toby, he'll never forgive Mrs Chubb. Bronwyn and Henry come to see Des. But they don't want a loan - they want to tell Des they're back together. Des is very pleased. Henry and Bronwyn say Des is the only one who's supported them all along, and they need him now. They ask if Henry can move in, paying full board of course. Des is a bit surprised but can't say no in the face of their enthusiasm. Henry and Bronwyn are delighted. 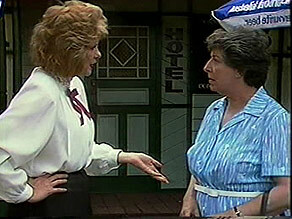 Madge tells Mrs Chubb that Joe is waiting for her in the Coffee Shop. 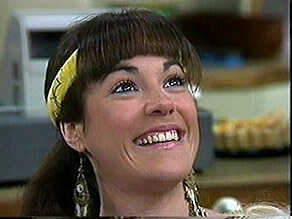 Madge tells her off for interfering with Toby. She tells him about the aggressive boyfriend and says that Toby is in danger from him. Mrs Chubb is horrified and says she had no idea. Madge says there's still time to fix things. Mrs Chubb comes in and tells Joe she didn't know the situation with the stepfather. Joe says Nolene is mad about the bloke and is blind to his faults. Joe asks her very restrainedly under the circumstances if she can tell him where they live. Mrs Chubb takes the address out of her bag and says there's one condition - that Joe won't take any reprisals against her. Joe says he'll lay off her if she lays off him. He runs off to rescue Toby. Ted is not impressed that Nolene has brought Toby home. He says outright that he doesn't want Toby, while swigging from a can of beer. Nolene cries that she can't live without her son and she always intended to get him back. She sends Toby to his bedroom. Toby says he wants to go back to Joe. Ted grabs Toby by the arm and drags him to his bedroom, telling him to stay there. Mrs Chubb is contrite about her actions - she admits that she was partly trying to hit back at Joe because of the cannabis plant incident. Harold tries to comfort her. Mrs Chubb says she's learnt her lesson now - she won't interfere in other people's lives ever again. Des and Madge come in. Des tells that he has something to tell all three of them. He tells them that Henry wants to move into his place. Harold and Mrs Chubb are appalled at co-habiting, but Des says they are both adults, so he saw no reason to knock them back. Madge is a bit calmer but says it's a big commitment for them. She thinks it'd be better for them to wait. Des says he can't do much about it now. Henry has already brought all his stuff over to Des's place. Bronwyn is worried about what Mrs Chubb and Harold will say, but Henry says they'll just have to stand up to them. Ted wants Nolene to get rid of Toby - he says if Joe doesn't want him, they'll just turn him over to Welfare! Nolene shouts that she's not getting rid of Toby. Ted goes to hit Nolene, but just then Joe runs in and pulls him off Nolene. He grabs Ted by the throat and shouts to Nolene to go and get Toby. He tells Ted he knows the police are looking for him so he'd better disappear. Then he shouts very loudly that when they come back, Ted had better have himself and his stuff out of Nolene place. Then he throws him on to the couch. Nolene comes back in with Toby. Toby hugs Joe round the neck and says he knew he'd come for him. Toby and Katie are catching up on the events of the afternoon. Toby reckons that his dad could beat anyone. In the living room, Nolene is sobbing and Joe says he can't understand how she was so stupid as to marry a bloke like Ted. Nolene says he was nicer before they were married - but she doesn't want any more to do with him now. Joe says he'd like to see Toby every now and then and Nolene says maybe he could come at weekends and holidays - she says that Toby really loves him and Joe can see him whenever he wants to. Nolene says maybe she should have stuck it out with Joe - he's a better bloke than she gave him credit for. Joe says lightly that it's too late now. Joe comes into the kitchen to say goodbye to Toby - he's going to run them both home. Toby is sad to leave Joe and says that he wishes they could be a family again. But he's pleased when Joe says they'll see each other at weekends and holidays. They hug each other. A young woman is sitting in the Coffee Shop with a small blonde child in a buggy. Mrs Chubb is not impressed that the young woman has only ordered hot water, and even less impressed that neither of them are wearing shoes. The woman says that they don't need shoes - their soles are tough from not wearing them. Mrs Chubb goes into the kitchen and tells Harold about the young woman in the main shop. She says that young people these days have no moral values and Harold agrees it's a sorry state of affairs. Des comes in and promptly falls over Henry's bags. They help him up and apologise. Des is not very pleased and even less pleased when he hears that Henry has drunk the last can of beer! In the kitchen, Mrs Chubb says it's very cheeky of the young woman to produce her own food, but she kept quiet for the child's sake. Harold says he shudders to think what sort of a home life they've had. He says he bets her parents didn't give her any sort of example. Mrs Chubb leaves through the back door. In the main shop, Harold approaches the young woman and starts to ask her not to eat her own food in his establishment. But he stops short in shock when he sees who she is.